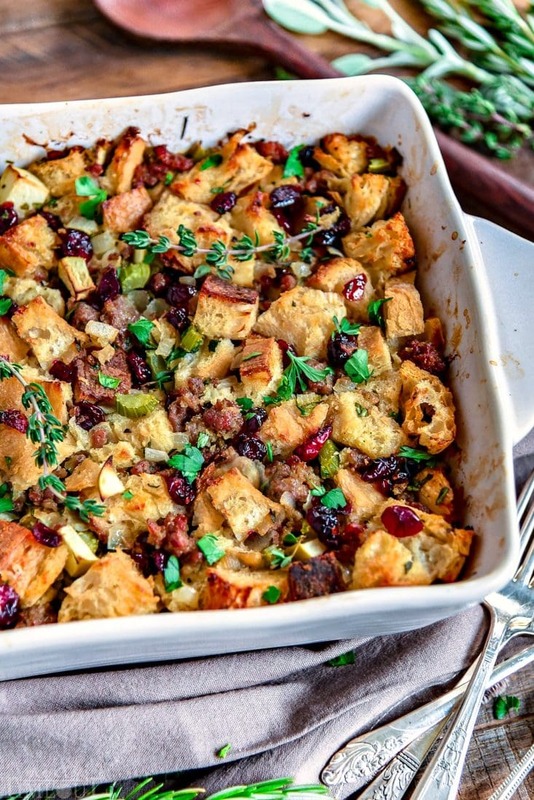 This easy Stuffing Recipe is our absolute favorite! 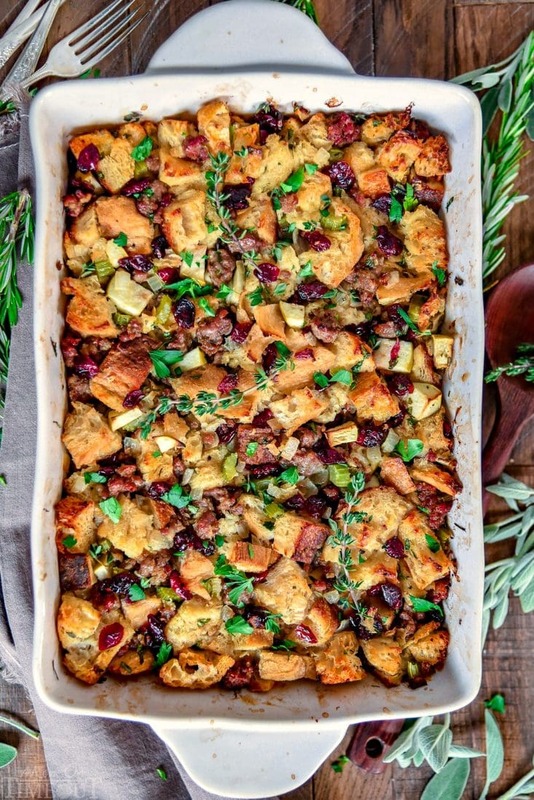 Loaded with sausage, cranberries, apples and tons of fresh herbs it’s the perfect addition to your holiday feast! Preparing for Thanksgiving? 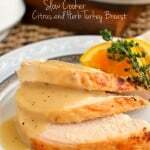 Don’t forget The BEST Dinner Rolls, The Best Turkey Gravy Recipe, and Slow Cooker Turkey Breast with Citrus and Herbs! Okay, you got me. I like it ALL. When Chris and I first started hosting Thanksgiving, it was my brother-in-law who brought the stuffing every year. It was the first time I had had sausage stuffing and was like whoa – where has this been all my life? 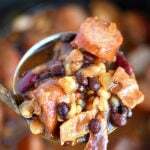 I have slowly adapted that recipe to include both dried cranberries and apples and loads of fresh herbs. 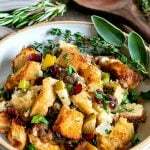 I love this easy stuffing recipe because it can easily be adapted to be a looser style stuffing or a moister stuffing. 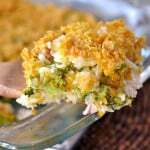 Generally speaking, stuffing is referred to as mixture that gets stuffed inside the bird and dressing is baked in a separate baking dish. This doesn’t hold true for the entire population though, including me. For whatever reason, we have always called this stuffing whether it gets cooked inside the turkey or not and I know this is true for many parts of the country. This stuffing recipe is loaded with good stuff. Tart granny smith apples, rosemary, thyme, sage, parsley, sausage, and cranberries. Right? So good you guys! It starts with cubed bread. I used a combination of sourdough and ciabatta but any kind will do. You can also buy a bag of the cubed stuffing at the store if you’re in a pinch. The bread is cubed and then toasted in the oven just until it’s nicely dried out and crunchy. This will allow it to absorb the stock and butter and all those flavors. I like to use two eggs in this stuffing recipe to hold it together a bit more but one is great if you want a looser stuffing. I actually used just one the day I photographed the recipe so that will give you a good idea of what it will look like. Bread. Ciabatta, Sourdough, French, whatever you want. Or buy the stuffing bread at the store. Fresh Herbs. Rosemary, thyme, sage, and parsley. 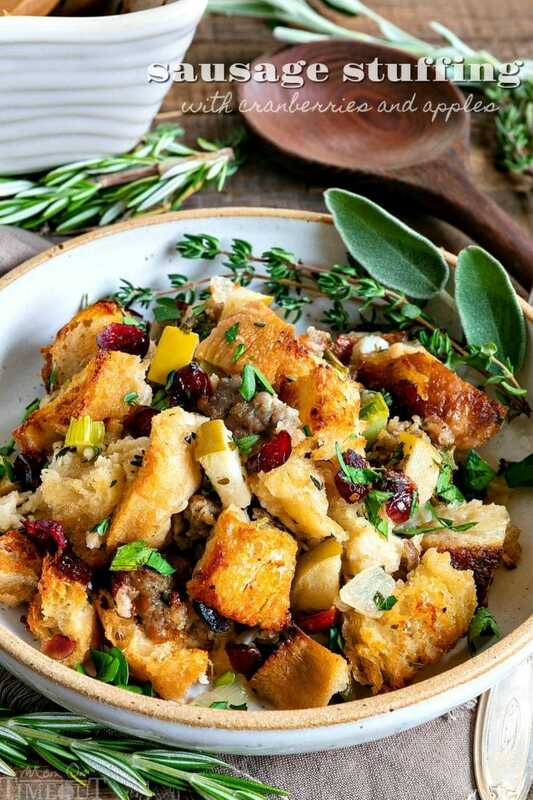 Fresh is really best and will make your stuffing shine this holiday season. Granny Smith apple. 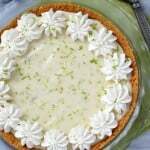 You could use a Gala as well but I love the tartness of the Granny Smith. Turkey or Chicken stock or broth. Whatever you have on hand. Dried Cranberries. 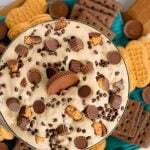 I use a cup in this recipe but you can add more or less depending on your preference. Onion and Celery. Of course. These two ingredients are the building blocks of all good stuffing recipes. Eggs. One of two depending on your preference. Two eggs will hold the stuffing together better. 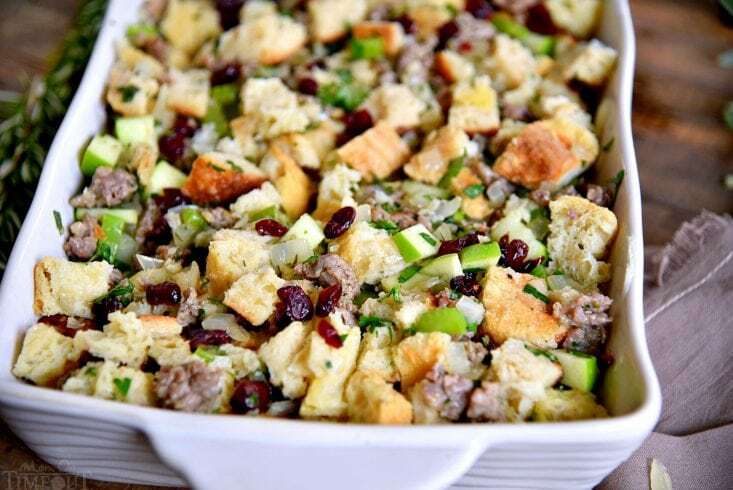 This easy Stuffing Recipe is our absolute favorite! 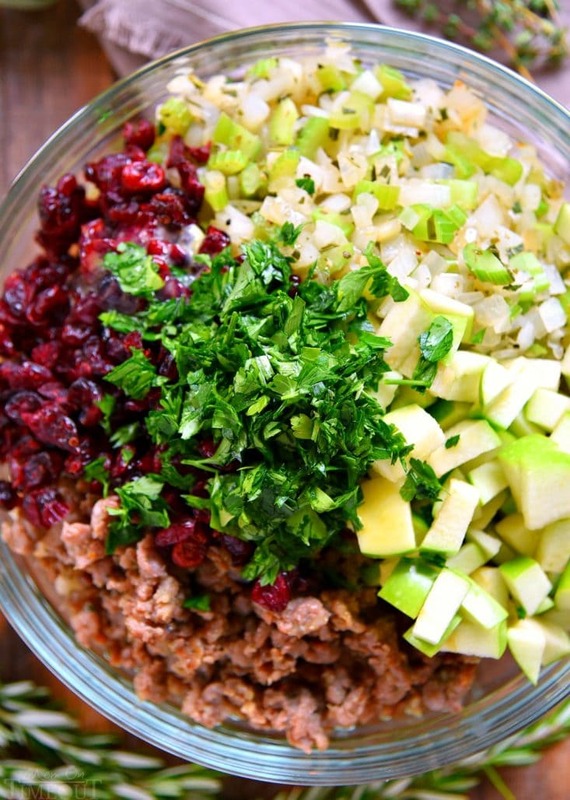 Loaded with sausage, cranberries, apples and tons of fresh herbs it's the perfect addition to your holiday feast! 8 to 10 cups bread, cubed Ciabatta, Sourdough, French, etc. Preheat oven to 350F. Place cubed bread on a large baking sheet and bake 5 to10 minutes until dried out. Set aside. In a large skillet, brown sausage. Remove from skillet leaving one tablespoon of grease in skillet. Add onion, celery, rosemary, sage, thyme, salt and pepper to skillet and cook over medium heat, stirring frequently, until onions are translucent. 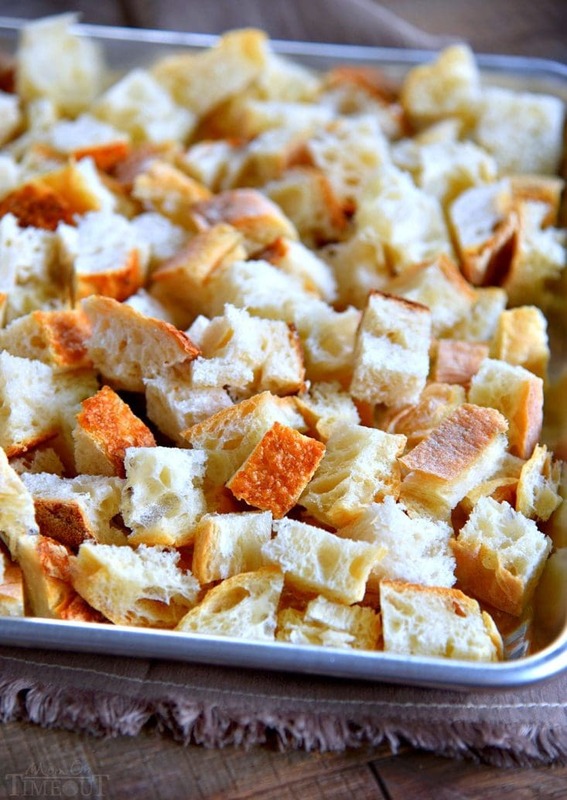 Place dried bread cubes in a very large bowl. Add sausage, onion and herb mixture, apple, cranberries, eggs, 2 cups of stock or broth and 4 tablespoons of melted butter. Mix until combined. Pour into a greased 9x13 baking dish and press down lightly. Cover with foil and bake for 45 minutes. Remove stuffing from oven and remove foil. Check consistency of stuffing. 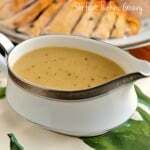 Add additional stock as needed and drizzle with the remaining 4 tablespoons of melted butter. Return stuffing to the oven, uncovered, and continue to bake for an additional 15 to 25 minutes or until stuffing is lightly golden brown on the top. 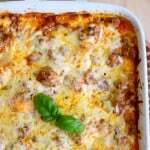 Top with additional fresh herbs and serve immediately. 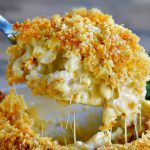 I am super excited to try this for Thanksgiving! Thank you for sharing! You are so welcome! Hope your Thanksgiving is amazing! 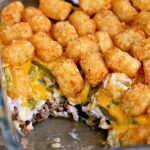 Your recipes are awesome. Love them but hate the ads all mixed up in them. Thanks Peggy! Sadly, it’s not free to run a website. 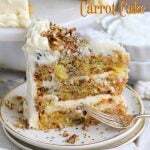 I have to pay a lot of people to keep this up and running so that’s pretty much the cost of doing business so I can provide free recipes to my readers. Can you prepare the stuffing the day before? If so, how long do you think it will take to cook? Yes, absolutely. 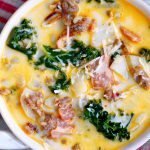 Just don’t add the broth and butter until you are ready to bake. 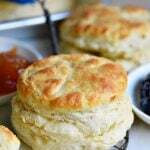 Pull it out of the fridge, let sit at room temperature for 30 minutes and add 10 to 15 minutes to the bake time.